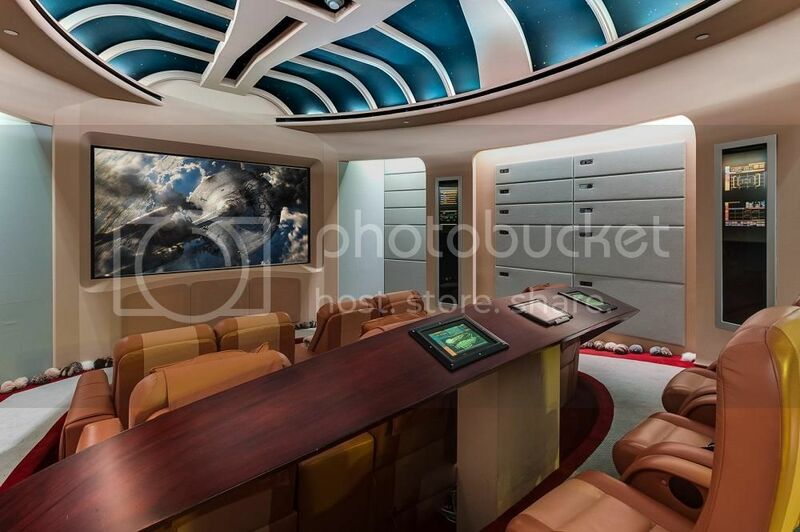 This may well be the best Trekkie themed house we have seen. "Internet mogul Marc Bell, former CEO of the adult networking site FriendFinder, has put his 27,000-square-foot, eight-bedroom, 16-bathroom Florida home on the market, with one very special feature: an unbelievable entertainment area that includes a Starship Enterprise bridge-turned-movie-theater, a massive '80s-style arcade and a Call of Duty-decorated gaming room." The Tuscan style estate has eight bedrooms, 16 bathrooms and a nine-car garage with car lifts. Read more and see the entire photo gallery here. And cough up $ 35 million if you want it!